110 Above Festival returns to Twycross from 3rd-5th August. 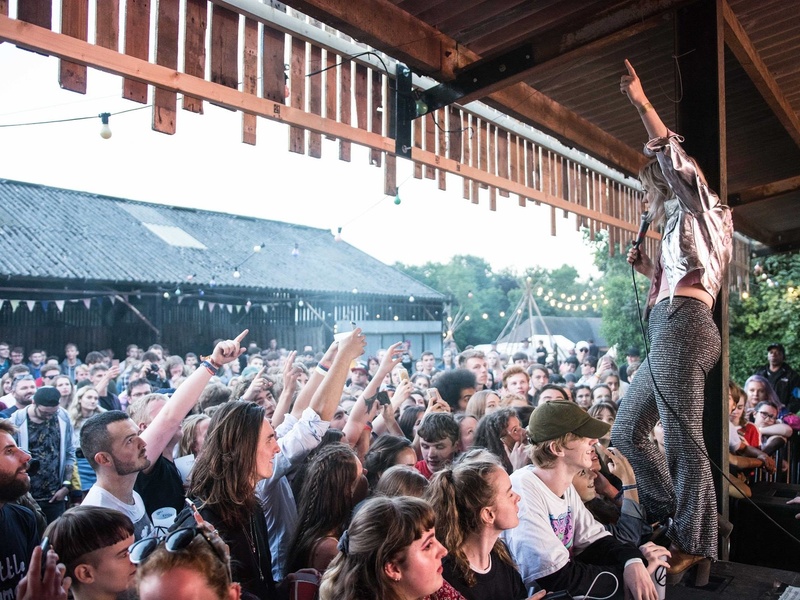 The 3-day outdoor festival will host headliners Fickle Friends, Circa Waves, and Peace, plus a plethora of local and up-and-coming acts. The festival started as a small party around a campfire to celebrate my birthday. Soon, the name 'Lainfest' was thought up, which is what it was called until three years ago, when we changed to '110 Above'. Each year the festival has got a little bigger – going from 15 people to around 1,000. Intimacy is still really important to us and it helps set the festival apart. No. I had been to a couple of local festivals (including Glastonbury), and hadn't planned on running a festival. It kind of just happened, and I think it is mostly because I have a passion for doing it. I could see how we could create something that was different – not too big and not too large, with an incredible lineup. We have a great balance of more established artists who are a couple of albums in, like Circa Waves and Peace. Finding new talent is also really important to us, so the festival is also about music discovery, and we want it to be place where you can find your 'new favourite band'. 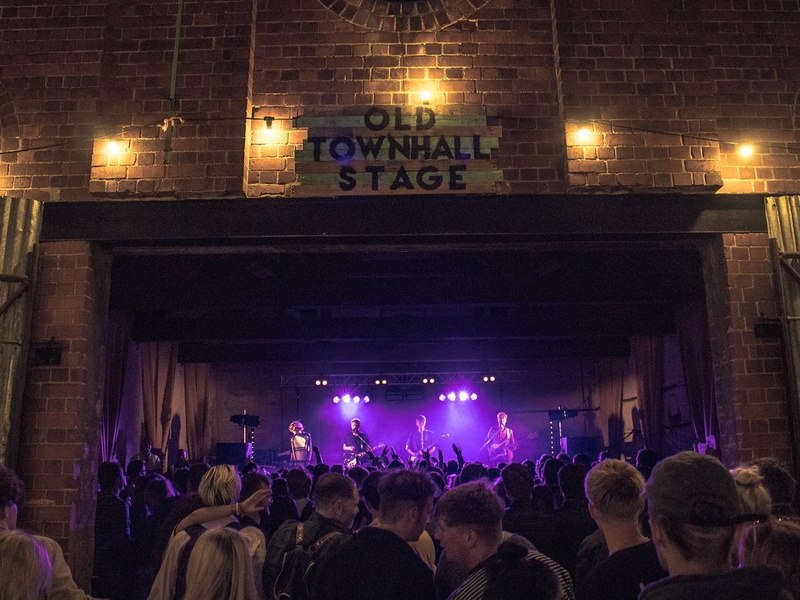 Widely described as one of the best kept secrets on the UK festival calendar, are there any plans to expand the festival, or is an intimate crowd a primary feature of the festival? Indeed! Intimacy is an amazing feature to have, and I am almost certain there isn't another festival out there with such a strong lineup with a careful restriction on capacity. In terms of expansion, we take these decisions on a year-on-year basis, and would only do so if we thought it was necessary to enhance the customer experience (e.g. another stage with more acts). Any words of wisdom for the promising promoters out there? Organising a festival is not a walk in the park; it doesn't just happen. You need to commit everything to it as it takes over your life! Therefore, you need to have a passion for running an event, and have a very supportive group of friends and family. Also, you cannot do everything, so build up a team so that different elements are shared out. We now have a great team that has reduced a lot of weight from my shoulders. With the festival full of acts to discover, what are some artists that we should keep an eye out for in the coming months? I am most excited about acts like Jade Bird, Keir and Jerry Williams. Our lineup is full of gems though, so anyone of them could have a number one selling album over the next 24 months. 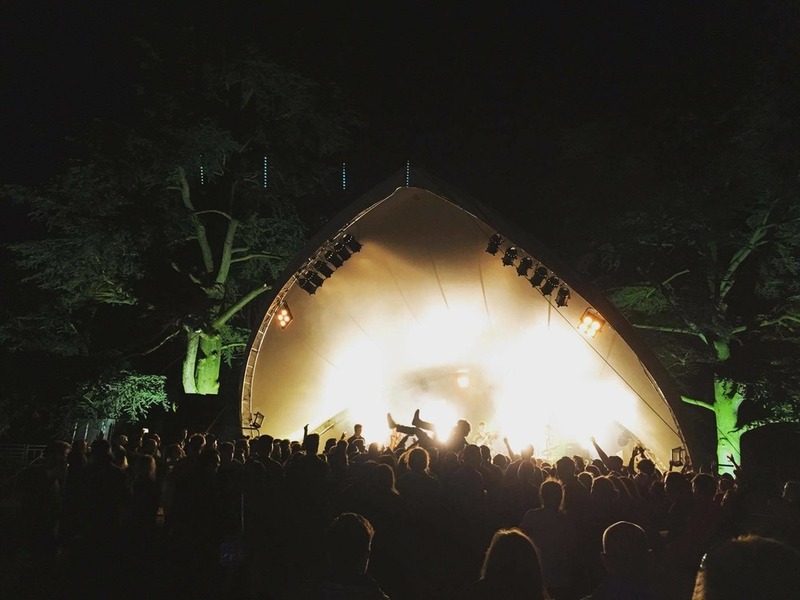 What makes the festival's relationship with Twycross so special? The farm is located in Twycross, so I guess it's good for it to be known for something other than having a zoo! What have you got playing at the 110 Above offices at the moment? We generally play our 110 Above Spotify playlist to totally get into the mood. It features all of the acts playing at the festival, so keeps us motivated! 110 Above signifies how many metres Gopsall Hall Farm stands above sea level! That's one fact. Another is that music runs through the veins of the site, as it's thought that Handel composed 'Messiah' (his most famous work, in 1741), overlooking where the camping fields are based! 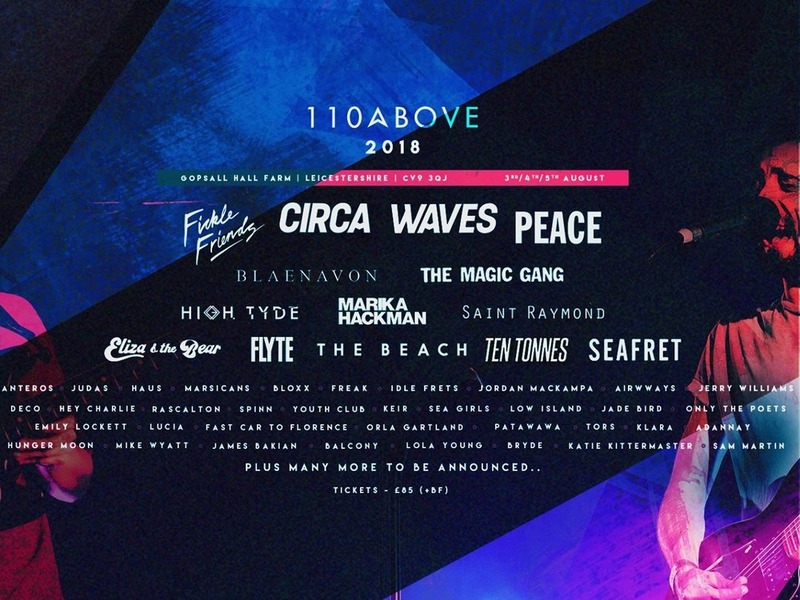 Grab your tickets for ​110 Above Festival and learn more about the bands here. You can also check out their official website, Facebook page, plus their Twitter and Instagram accounts.